Cord blood is the blood left over in the umbilical cord and placenta after a baby is born. Typically, the umbilical cord and placenta are thrown away as medical waste. If you are an expectant parent, talk with your health care provider about the options that may be available to you. Donating cord blood for public use or storing it for your family's exclusive use is a personal decision. Why should I consider saving my baby’s cord blood? Is cord blood transplantation limited to the treatment of blood diseases? What are the current recommendations for delayed clamping? How can I donate to a public cord blood bank? Is there a fee charged for donating my baby’s cord blood to a public bank? Will the patient who uses my baby’s cord blood know my identity? How do I save my baby’s cord blood for use only by my family? Is there a fee for saving my baby’s cord blood in a private family bank? How do I find a reputable private family cord blood bank? What is the likelihood that my baby will use the privately stored cord blood at a later date? How likely is it that another family member can use my baby’s stored cord blood? Can privately stored cord blood later be donated to a public bank? Where can I find other information about cord blood banking and transplants? Cord blood contains blood-forming stem cells that, when transplanted, can rebuild the bone marrow and immune system and save the life of a patient with a serious blood disorder such as leukemia, lymphoma or sickle cell disease. Infusions of these cells can also treat patients with inherited genetic disorders, bone marrow failure and immune deficiency diseases. Cord blood is one of three sources of blood-forming stem cells used in transplant. The other two sources are bone marrow and the blood that circulates throughout the body (called peripheral blood). Cord blood transplantation is an accepted treatment for many blood diseases. In addition, research is under way to determine whether components of cord blood can treat other medical conditions such as birth asphyxia (brain damage from lack of oxygen), cerebral palsy and autism. Cord blood therapies for these brain injuries and diseases are not standard medical practice, but are being evaluated in ongoing studies and may prove useful in the future. After your baby is delivered, the umbilical cord is clamped and cut. Blood from the umbilical cord and placenta are put into a sterile bag with a blood thinner to prevent it from clotting. No blood is taken from your baby. 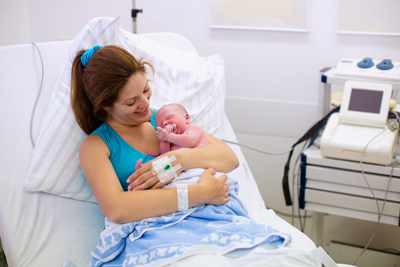 Cord blood collection can be performed after a vaginal or a C-section delivery. The collection procedure is painless and poses no risk to the mother or baby, and does not interfere in any way with your labor or the baby’s delivery. Several obstetric organizations in the United States, the United Kingdom and Canada have recently recommended a delay of 30-60 seconds between delivery and umbilical cord clamping in healthy, full-term babies. It is believed that delayed clamping may have a beneficial effect in the newborn. Delayed clamping can reduce the volume of stem cells remaining in the umbilical cord, but that does not necessarily make the volume unsuitable for storage or donation. On the other hand, if the baby’s cord blood is being stored for a known use – such as transplant of another family member with leukemia – delayed clamping may not be advised. Expectant parents should discuss options for delayed clamping with their obstetrics provider. How can I donate cord blood to a public cord blood bank? Thousands of patients have received a second chance at life because many families around the world have made the generous decision to donate their baby’s cord blood stem cells to a public bank. The steps are easy, but they do vary somewhat from country to country. Between the 28th and 34th week of your pregnancy, talk to your obstetrical physician or other health care provider about your interest in donating your baby’s cord blood. Information about donating cord blood in the United States can be found on the Be The Match website that is maintained by the National Marrow Donor Program. The website provides donation guidelines and lists U.S. hospitals that collect cord blood for public use. Similar information is also available for many other countries. Unfortunately, not every hospital offers cord blood donation. No. There is no fee to donate to a public cord blood bank. No. The identity of you and your child will be kept confidential. Your baby’s cord blood will be labeled with a number, not your child’s name. How do I save my baby’s cord blood for exclusive use by my family? You can store your baby’s cord blood in a private or family cord blood bank for your family’s future use, should the need arise. Typically, private cord blood banks are not associated with a particular hospital. The mother is sent a collection kit to give to her doctor or other health care provider who will perform the collection at the time of delivery. If your baby currently has a family member with a disease that can be treated with a cord blood transplant, you also may be able to store your baby’s cord blood at little or no cost, depending on the services available where you plan to deliver your baby. Yes. Private or family banks charge a fee for the collection, transportation, processing and storage of cord blood. Fees vary from bank to bank and country to country. 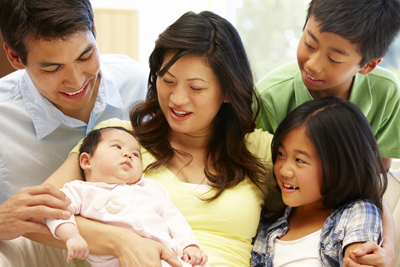 Contact one of the private cord blood banks affiliated with the Cord Blood Association. Additional details about these and other private cord blood banks can be found on the Parent's Guide To Cord Blood Foundation website. In addition, you’ll want to be sure the cord blood bank is accredited by AABB or the Foundation for the Accreditation of Cellular Therapy. These organizations have standards, gather data from banks and conduct on-site inspections to ensure that the cord blood is collected safely, and handled in a way that protects the quality of the cells. The chance of your baby ever needing his or her own cord blood cells is very low, but not zero. For instance, if your child develops a blood cancer like leukemia and needs a stem cell transplant, your child’s own cord blood cells would not be used because the cells that caused the disease might be in the child’s cord blood. Donor cells, or sibling cells, would do a better job fighting the disease. However, research is under way to determine whether, in the future, cord blood stem cells can cure other medical problems not currently treated by a cord blood transplant, such as birth asphyxia, cerebral palsy and autism. Although these therapies are not yet available as part of standard medical practice, they are being evaluated in ongoing clinical trials and may prove useful in the future. Currently, the likelihood that a family member will use your child’s stored cord blood is quite small. Whether your child’s cord blood can help a family member who needs a transplant depends on several factors. First, the number of cells in a single collection or “unit” of cord blood must be sufficient for transplant. Adult patients typically require more cells than are contained in a single unit. However, techniques are now under investigation that could expand the number of cells in a cord blood unit, which would increase the number of cells available for a transplant patient . Second, cord blood cells have genetic markers called human leukocyte antigens (HLA) that need to closely match those of the patient. Brothers and sisters with the same biological parents have a 25 percent chance of being a perfect match, and a 50 percent chance of being a partial match. Other family members are much less likely to be a match. 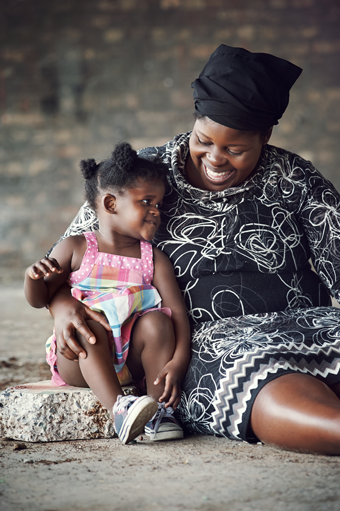 If there is a child in your family who has a blood cancer like leukemia or an inherited blood disease like thalassemia or sickle cell anemia, consider saving your baby’s cord blood for that child’s future use. You can store it in either a public bank or a private family bank that offers a directed-donation program. You can also consider this option if you’re at risk of conceiving a child with a genetic disorder, like sickle cell disease, that can be treated with a cord blood transplant. Researchers are currently studying whether cord blood cells can help patients with other disorders such as birth asphyxia, cerebral palsy, Type I diabetes, stroke and autism. Results from these studies will be available over the next several years, and should help shed light on whether patients with these disorders can be helped by cord blood stem cells. For more information about searching for clinical trials, see Search for Cord Blood Studies on ClinicalTrials.gov. Regulations in most countries do not allow cord blood that has been stored in a family bank to later be donated to a public bank. However, a few countries do allow privately banked cord blood to be used publicly if the family who stored the cord blood unit agrees. State of the Science – summary of the uses of cord blood and related birthing tissues in current therapies and in clinical studies. Disease Indications – diseases for which cord blood therapies are currently used, and those in which cord blood use is being studied. Research Advances – banking and therapeutic use of cord blood and related birthing tissues recently reported in the medical literature and at scientific meetings. Clinical Trials Search – online searchable registry that finds current and past cord blood research studies worldwide. Here are some additional trusted sources of information on the web.